Isn’t this face adorable?! I can’t believe I got that close to a giraffe. 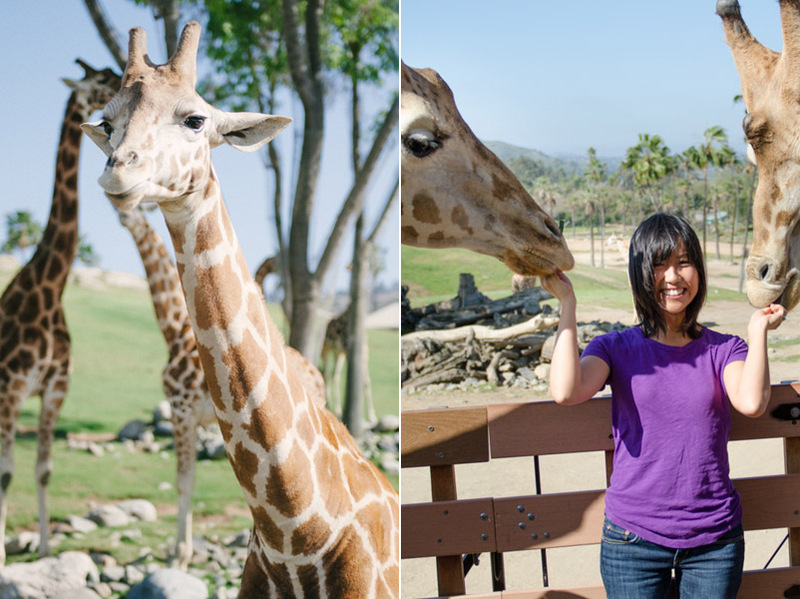 For Joan’s birthday this year, we went on a caravan adventure at the San Diego Safari Park. If you’ve been before, you know that there’s a safari tram that takes you around the african safari area, but for an extra fee, you can take a small group tour inside the enclosure. It was really fun. We fed some giraffes and saw a couple of baby rhinos. I also learned a few things I didn’t know before. Did you know that the leaves giraffe eat come from a tree where the thorns are like 10x the size of the leaf? 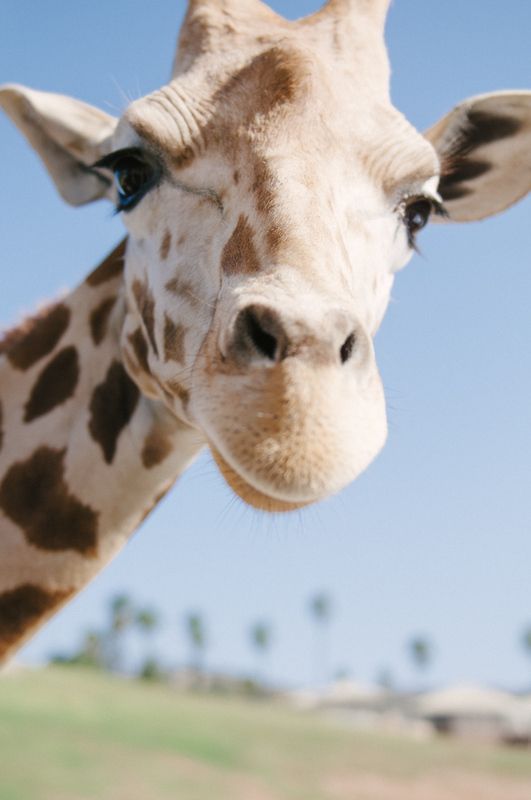 Giraffes have adapted to this horrible situation by developing tongues that don’t have a lot of blood flow so they can’t feel the pokes of the thorns! I also learned that the rhino’s horns aren’t real horns, they’re made of keratin and they grow back! Also, that baby white rhino is just the cutest thing, all big feet and big ears. All in all, thanks Joan & Andy for taking us along for a wonderful adventure! 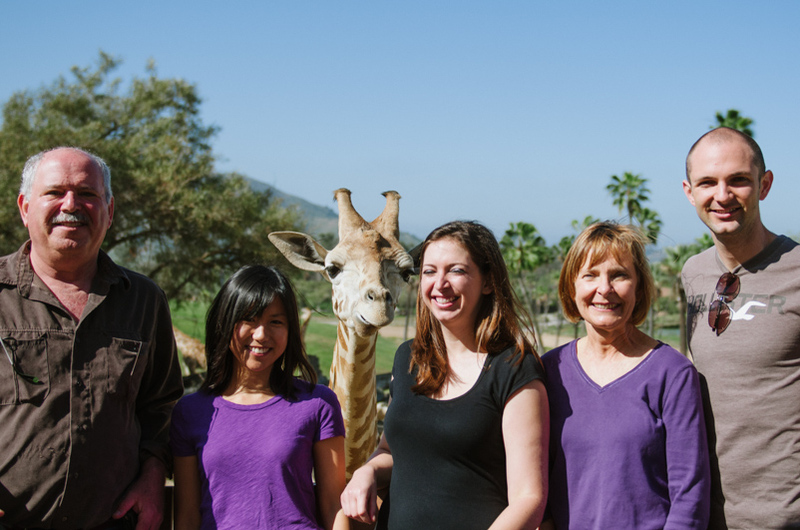 You are currently reading Caravan Adventure at the San Diego Safari Park at Things An Likes.